Patons Canadiana – The New Generation stole my heart the very first time I crocheted with it because it has all the great qualities of the old version. In addition, The New Generation is softer, making it more suitable for clothes and other items where stretch is desired. Despite the fact that it is 100% acrylic, the yarn is on the expensive side. However, if you don’t mind acrylic yarn, then this is the yarn for you. 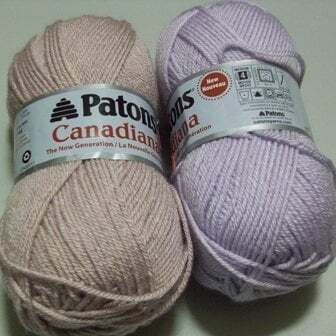 It creates a beautiful, soft and drapeable fabric, which retains its beauty even after the wash.
Patons Canadiana is perfect for crocheting afghans, sweaters, hair accessories, hats, scarves and other winter accessories. It is not marketed as a baby yarn, however, due to its softness it can also be used for the baby. The only downfall of the yarn is that it is acrylic, which is a synthetic fabric. For most individuals this is not a problem, but some with sensitive skin might not want to wear this next to the skin. Other than that, this yarn is perfect for just about any crochet project where drape and stretch is desired. As for colors, the yarn is available in a variety of solids as well as a few variegated colors. It is a worsted weight yarn that is suitable for both knit and crocheted projects. The recommended crochet hook is 5.00MM and the recommended knitting needle is a 4.50MM. 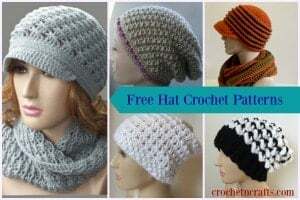 Patterns for this yarn are available for free on the Patons website. You can purchase this yarn through my Amazon Affiliate Link.